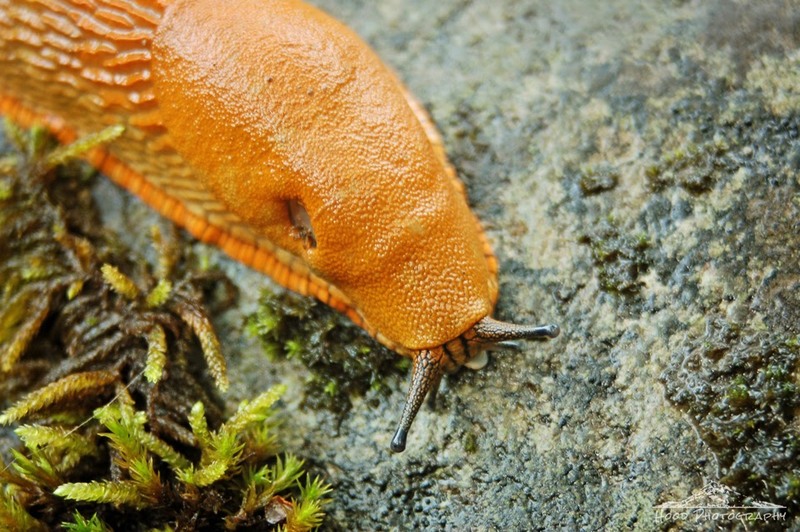 Ok, I know, slugs are gross, disgusting, slimy creatures that wreck havoc on gardens. But they do make interesting photography subjects. The different textures, the patterns, the bold orange color ... pretty nasty, but fascinating! I have never laid eyes on an orange slug, so I'm going to say not gross and pretty cool! That is the coolest slug I've ever seen. They're murky brown where I live, not a vibrant orange. I have never seen an orange slug. He is actually beautiful to look at.